There are some on my facebook who seem annoyed at times with our president. Being a toy maker, I thought of a simple solution for them. Turn the crank, it hammers his head. 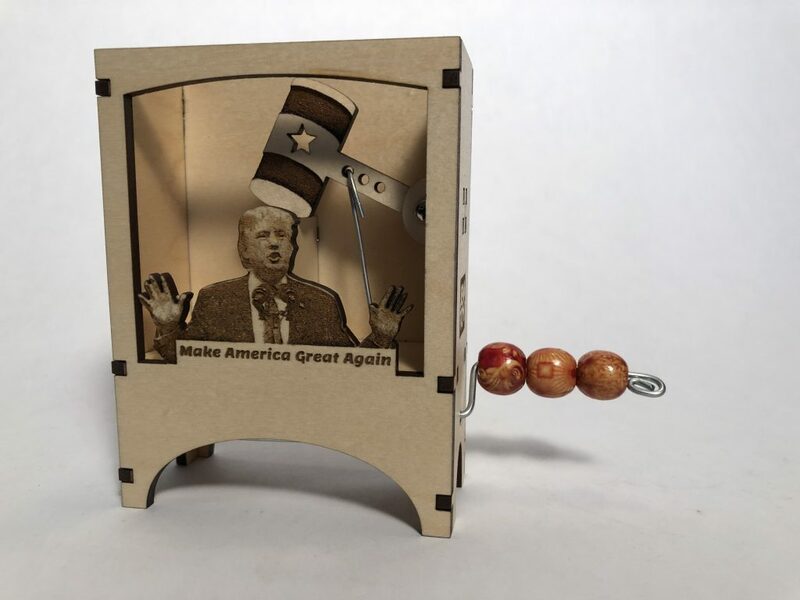 Make your own laser cut Make America Great Again toy with the FREE JEMTOY SVG file. I added a few fancy beads to make cranking even easier. These crazy things are now available @ my etsy shop.